We're thrilled to announce our Sunday Keynote will be Dr. Valerie Young! Don't miss the Academic Stand-Up Happy Hour on Friday by Kyle Marian! The Scientista Foundation's annual Scientista Symposium – #SciSymp – is a three-day conference which advances the careers of young women in STEM by providing opportunities for networking, mentorship and professional development. SciSymp is the most valuable and accessible conference for young women in STEM in the country – you won't want to miss it! Hear from inspirational leaders from across STEM disciplines and hone your own leadership skills through interactive workshops. Network with speakers, recruiters and #Scientistas like you from around the country at our happy hour, networking lunches, and Career Fair. 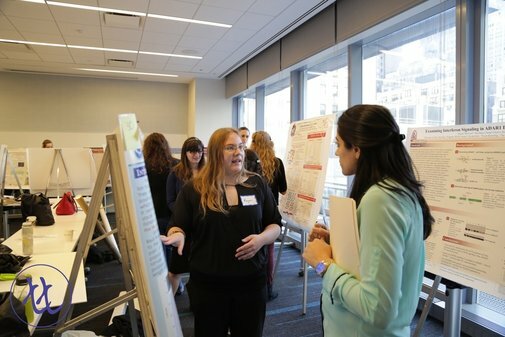 Present your work in our Poster Competition – open to undergraduate and graduate students – and compete for cash scholarships!